Your BEST Value in a Used Car or Truck from Wi Dells to Baraboo to Madison! 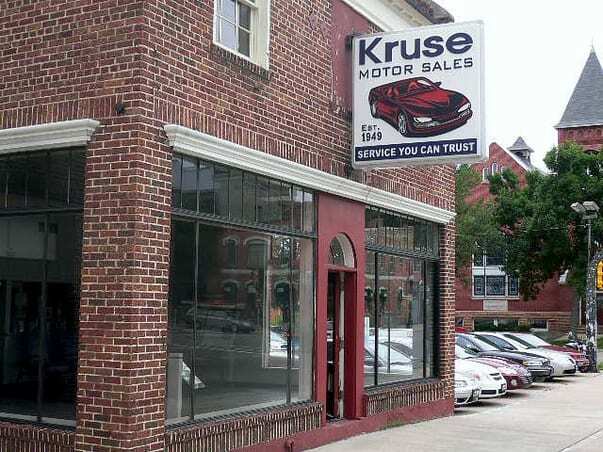 Kruse Motor Sales in downtown Baraboo has provided the best pre-owned trucks and cars in the area since 1949. But you'll need to stop by our Baraboo location or www.KruseBaraboo.com OFTEN because our clients come from all parts of Wisconsin - such as Baraboo, Wisconsin Dells, Reedsburg, Madison, Portage and the surrounding counties of Columbia, Sauk and Dane - for great deals on used vehicles AND exceptional customer service, and our used car inventory doesn't stick around too long! Kruse Motor Sales carries a variety of makes and models of used trucks and autos, and our expert sales staff will help you find the perfect vehicle for your lifestyle along with help finding friendly area financing, if it is needed. We also offer great rates on car rentals and leasing, so if you're looking for anything other than a brand new car or truck, give us a call ... we can help! As a AAA approved auto repair shop and service facility, our staff of certified and trained ASE certified technicians will ensure your car repairs and vehicle maintenance are performed according to factory specifications. We also provide quick diagnosis of mechanical troubles and can offer emergency towing and car repair if it is necessary. See our Auto Repair page for more info. Whether you're looking to buy a new used car or truck, or you need repairs or maintenance to keep your existing vehicle performing at its best, visit us at 515 Broadway (on the square) in Baraboo, WI, or call (608) 356-4919. On the Square in Baraboo since 1949! Contact us Today!! We have a reputation for providing a courteous and friendly atmosphere during the car buying and servicing experience. Page Summary: Kruse Motor Sales offers used cars for sale, trucks for sale, used car dealerships and cheap cars. If you're lookng for cheap cars for sale, we can help! We also specialize in car sales, buy used cars in Baraboo, Prairie Du Sac, Reedsburg as well as Sauk City. Other areas we serve include Lodi, Portage, Wisconsin Dells and Poynette. We also service Waunakee, Cross Plains and beyond.